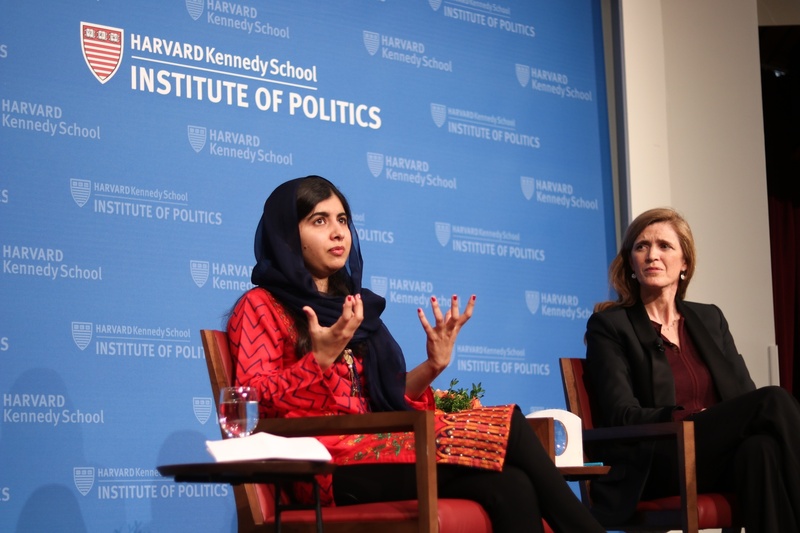 Former UN Ambassador Samantha Power speaks with Nobel Peace Prize Laureate and 2018 Gleitsman Award recipient Malala Yousafzai Thursday evening at the JFK Institute of Politics. Samantha J. 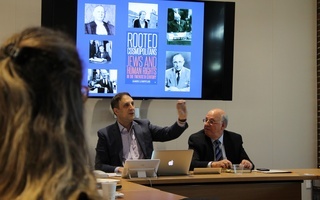 Power, former United States Ambassador to the United Nations, spoke about the importance of human rights at the Institute of Politics Wednesday evening in commemoration of next week’s 70th Anniversary of the Universal Declaration of Human Rights. At the event, hosted by the John F. Kennedy Jr. Forum, Power emphasized “three of the major cross-cutting issues” that she sees as the most impactful for human rights in the coming years: the global democratic recession, the proliferation of technology, and the rise of China. Though she discussed the threats and dangers of each, Power also expressed optimism about the future of human rights and issued a call to action to students. “I would like to make the case — especially to the students out there this evening — as to why now is absolutely the right time to get involved in the fight to ensure that human rights expand, rather than contract, in your respective lifetimes,” she said. Yasmin P. Forbes, a fellow at the Carr Center, said she found the talk engaging because of the speakers’ interesting perspectives and discussion of contemporary human rights issues. During the event, Amarir asked Power about the hypocrisy of American human rights advocacy, given the human rights violations committed by the United States itself, and specifically referred to U.S. policy in the Middle East. “Had people given up because we commit human rights abuses, we’re just going to end up with more human rights abuses,” Power replied. Her answer elicited audience applause. After the event, Amarir said she was frustrated with Power’s response. “Just admit the fact that the reason why human rights are not upheld and respected the way they should be is also because we give an image of us being the ultimate upholders of human rights, and we are not respecting human rights,” Amarir said. Objectivist Says Abortion Rights Are "Pro-Life"